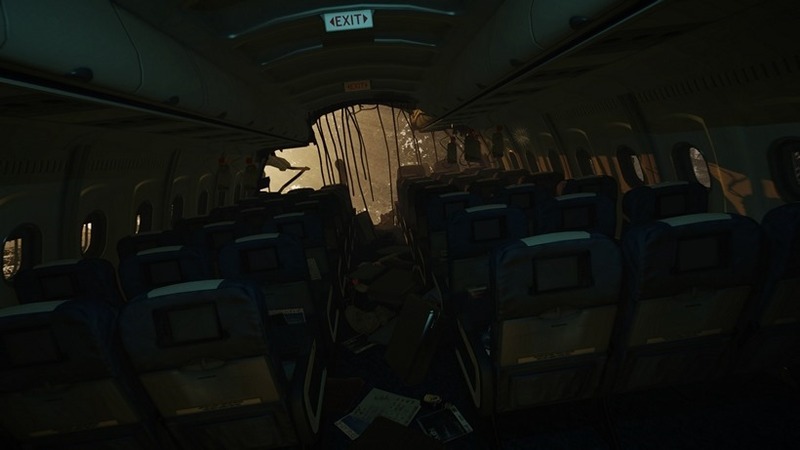 Unless you’re starring in World War Z, it’s not often you find yourself surviving a plane crash and having to fend off mindless cannibals. 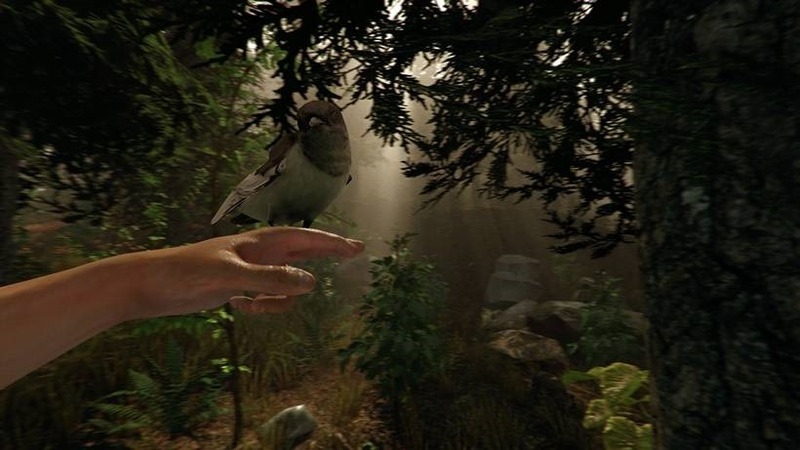 However, this is exactly what Endnight Games’ The Forest asks you to do. Or rather, it doesn’t really ask you to do anything. Once you gain control of your character, you’re free to do as you please on the island. See that towering mountain in the distance? Go check it out. Prefer the sandier side of life? Head on to the beach and see what’s there. Of course, this isn’t Minecraft, and anyone who expects this to be anything like it will end up sorely disappointed and possibly traumatised. You see, The Forest isn’t about creation and expression, it is all about choices. Once you’re stranded on the island, you have the choice to scavenge the plane for supplies or run off in the opposite direction of the wreckage. If you choose to scavenge the plane you run the risk of the local population coming over to see what all the noise was about, but if you don’t you’ll miss out on some valuable resources left over from the wreckage that will come in handy – like food and bottled water. Then you have the choice of whether to set up a base camp or not. A camp offers some utilities that offer a reprieve from the difficulties of the island, provided you find the raw materials to build them. Remember that turtle you killed? Well now it’s a container for catching rain water. Or, if you manage to find a stream with clean water, you can rather use the shell as a shield. If you gather enough logs, leaves, sticks and stones, you can build a shelter and fire. This will keep you warm, help you cycle through night and day, and of course cook your food. However, if you decide to go the settler route, you’ll soon attract the attention of your friendly local cannibal, as the AI has been developed to investigate things that are out of place on their regular patrols. Chop too many trees down, and you can bet that you’ll start to feel eyes on you whenever you go to collect water, food or resources – but we’ll talk more about the cannibals in a moment. Of course, you could choose to opt out of playing solo-civilization minus the Ghandi and choose to stick to the shadows and avoid the cannibals while you constantly move to avoid detection. This means that you’ll have an easier time avoiding the cannibals, but you’ll struggle to keep finding clean water, a reliable food source and strong medication for when you undoubtedly get sick. You’re not the only one who survived the plane crash. The whole island drops little hints of people that have ended up on the island via a yacht or ship, the plane crash, a reality show (not kidding) or some kind of holiday retreat. There’re abandoned camps, filming equipment and derelict ships across the island that leave clues about what happened there. The other people aren’t so friendly. The cannibals appear to have their own dialect, deities, rituals, patrols, hunting parties, tribes and even hierarchical structure. The only time they will deviate from this social structure is if they notice something out of place – maybe a tree cut down, animal corpses, strange structures like player camps or, I don’t know, a plane crashing in the middle of their home. This is where things get tricky for players who choose to set-up shop and get comfortable. Cannibals who eventually find your camp will at first be curious and start stalking your movements. Some tribes may even decide to attack you head-on and destroy your set-up. Either way, the cannibals will start building structures marking your camp and movements for other cannibals to find you. Sure, you can build traps, but the cannibals keep coming – and in greater number. Some cannibals serve as scouts and foragers who literally climb trees and watch your movements in order to run back to their camps and inform the rest of their tribe. However, if you kill the cannibal before he lets others know, your location will remain a secret for a while longer… until the tribe realises the scout is missing and they search his patrol route. The cannibals in The Forest appear to dwell in huts on the surface, but keep their young in caves dotted around the island. It also appears that’s where they’ve taken most of the passengers as leftovers for later. 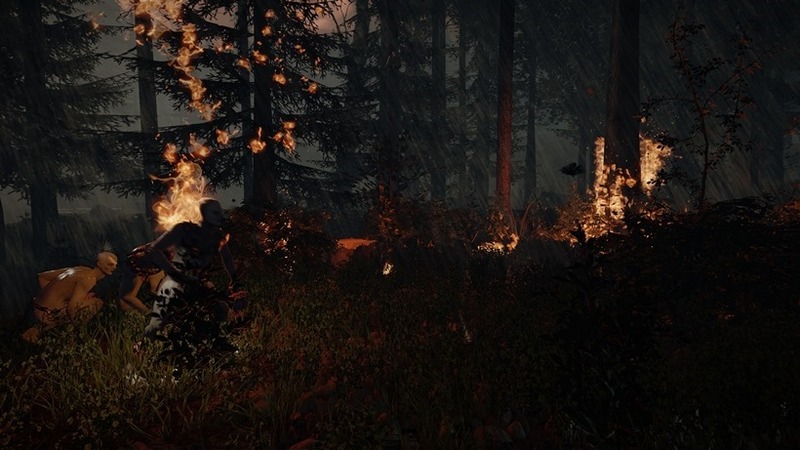 The AI in The Forest is impressive to say the least and an entire guide can be written on the cannibals themselves and their behaviour towards the player – but what happens if you add another player to the mix? 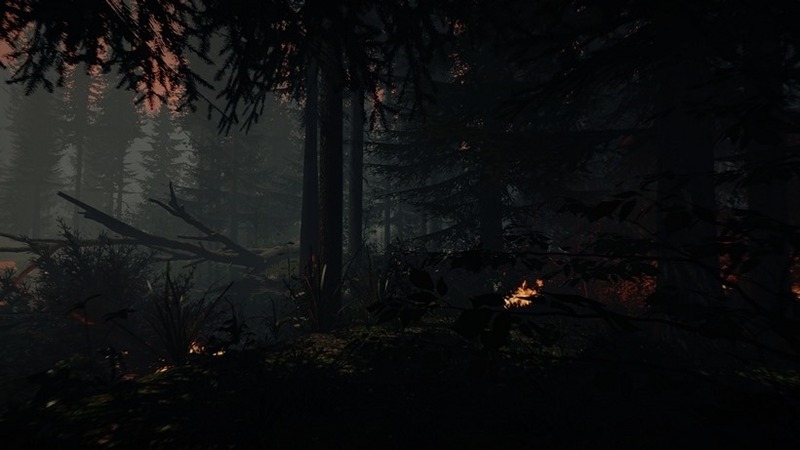 The Forest can be played solo or with up to 8 friends. These friends make the game much easier, but if you play online, many human players attempt to murder you and take your supplies for themselves. I had enough terror to deal with solo, so I convinced a friend to join me. Having another mouth to feed is worth the extra pair of hands when you have to carry seven logs back to camp to make a structure, and it makes exploring a little more bearable (despite getting lost and finding out the cannibals can run across the bottom of the ocean!). I spent many nights exploring the island, finding cannibal camps and remnants of survivors scattered across the landscape with my friend – as well as bearing the silence that followed when we heard inhuman howls near camp at night. I preferred this to the solo experience just because going at it alone is tough, with regards to difficulty and horror – see how you like it when you get lost at night and start hearing the trees whisper…. While you can essentially do what you want – even to the point of building a log cabin on a raft and attempt to sail off into the distance – there are subtle clues on the island that drive you to want more. For example, in the beginning of the game, the cannibals abduct a little boy – who you don’t see again, but you can find pieces of a toy that he was holding before the crash scattered around the island on altars. There’re ominous photographs you can find in the most peculiar of places (on a tree, on a yacht near a random grave) that point you in the direction of rare finds like a rebreather or more clues. And, of course, although there are thousands of cannibals (and something else…) on the island, they’re capped at a determined spawn rate, so you can dedicate your time to hunting them down or eradicating them until they no longer spawn. 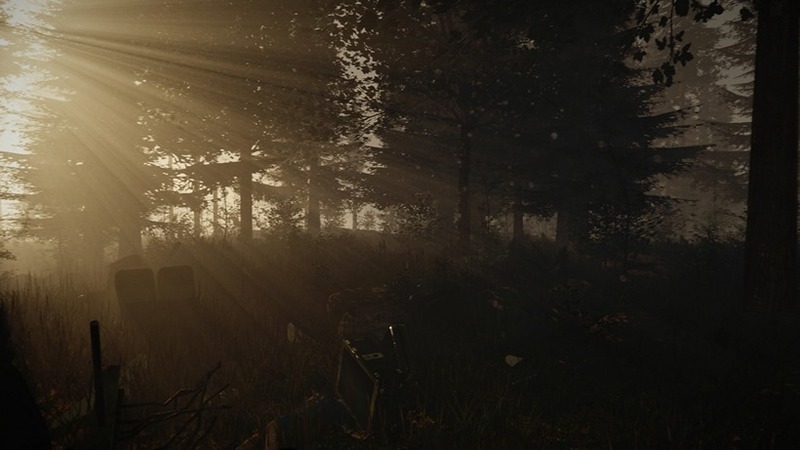 Overall, I enjoyed my time with the alpha build of The Forest which can be purchased now for $14.99 for instant access. There are a few clipping bugs, but mostly nothing game breaking and it really is worth every dollar if you can find a friend to play with. If you can’t, then you’ll probably end up spending more on therapy. Next article There's a FLIGHT OF THE CONCHORDS movie in development!